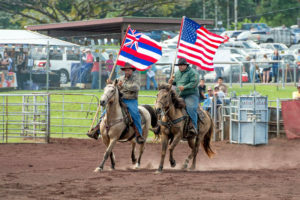 Double Mugging is unique event found only in Hawaiian Rodeos! 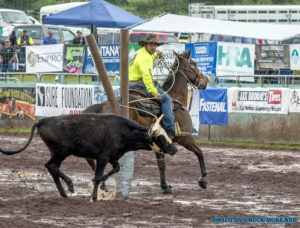 In This Exciting and Sometimes Humorous event, two Paniolo will work together to rope and knock a steer to the ground and tie up three of its legs. It’s often a wrestling match between men or women and the beast. Back in the early days of cattle “ranching”, cattle were allowed to range free through the island. Po’o Wai U is a technique that was developed by the paniolo to capture these free range pipi ‘āhiu (wild cattle) and it is still used today. The animal would be lassoed and tied to a tree, often a Y shaped tree known as the “aumana”. 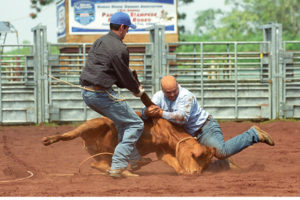 In today’s Rodeo, we replicate the aumana in the arena.The competing Paniolo will have to rope a steer by the horns, pull the steer to the aumana and tie with a nonchoke knot. 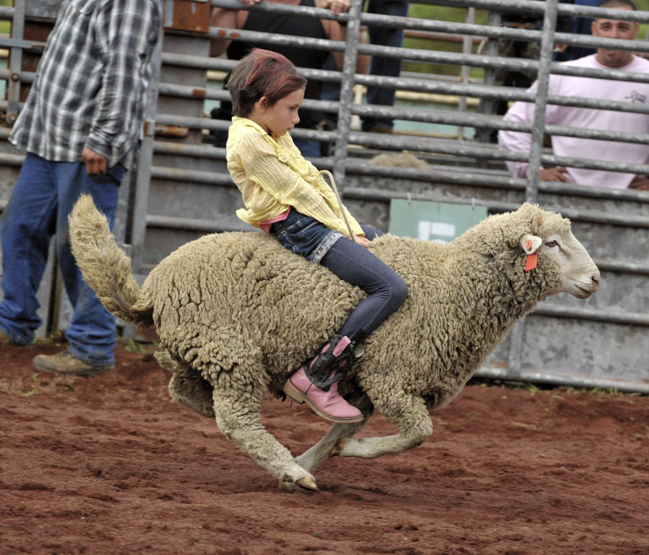 Future cowpokes compete in the often hilarious and always charming “Mutton Busting” (Keiki Sheep Riding) event. Remember… some of those sheep can be very “kolohe” (rascal)! Dummy Roping brings out the lasso artist of the Upcoming Generation. 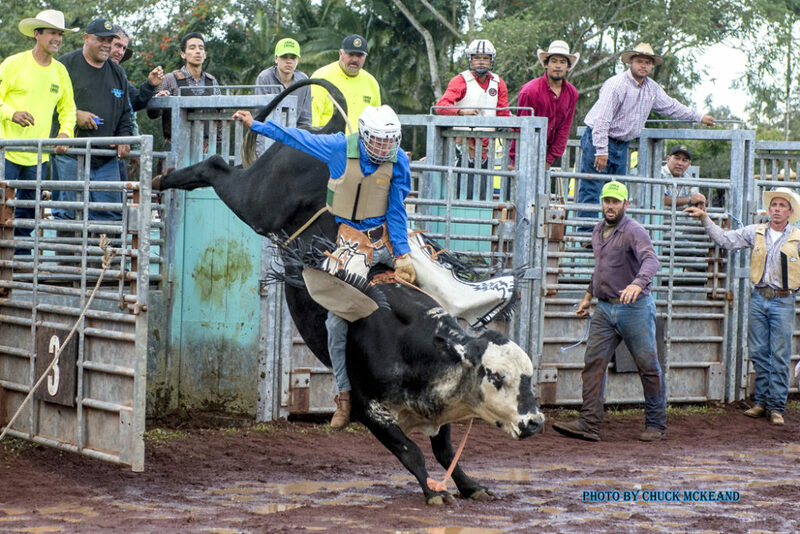 JJ has been an integral part of Hawaii Panaewa Stampede Rodeo for many years and each year he brings some new tricks to amuse the audiences. 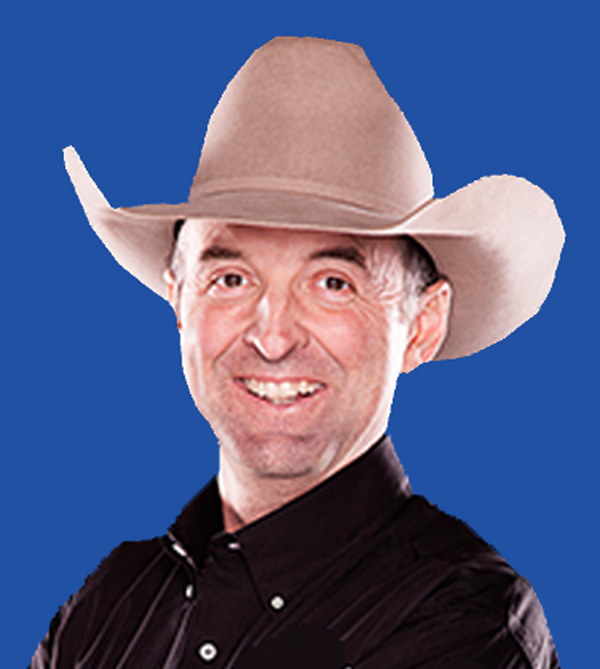 But He’s not there just for fun, he’s there to keep the many participants safe from angry bulls and upset broncs. 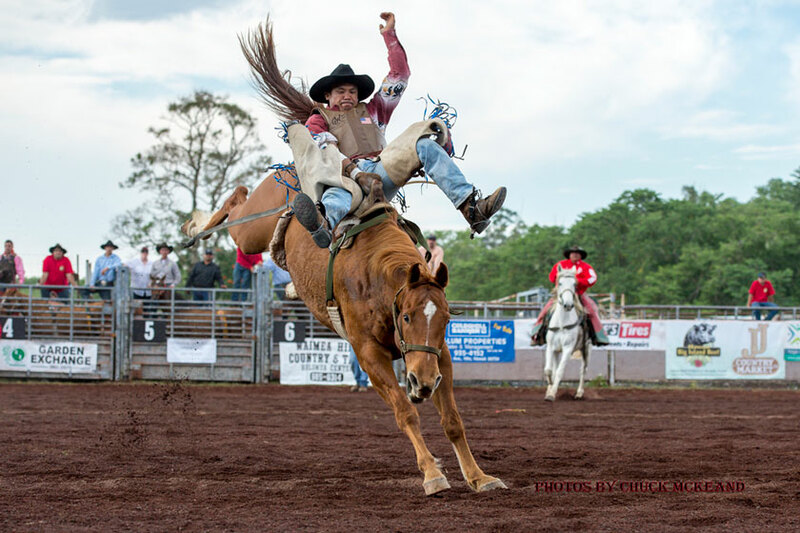 JJ has been selected to perform at the Pendleton Rodeo, the Ram National Circuit Finals and to be the Barrelman for the National Finals Rodeo which is the “Super Bowl” of Rodeo. 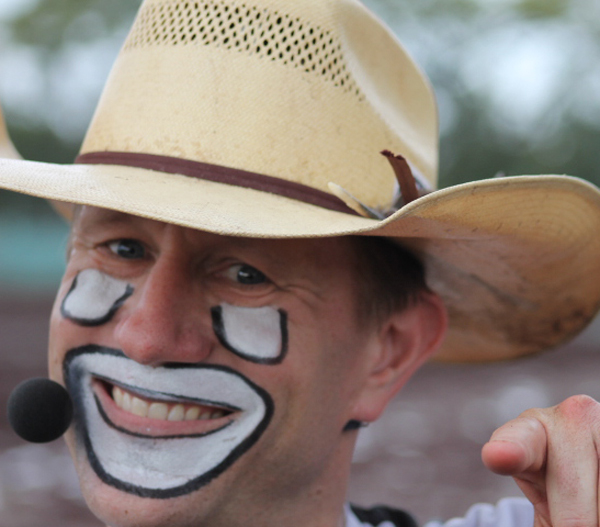 Justin McKee brings his wit and charming personality as the Pana’ewa Stampede Rodeo Announcer. While local fans may laugh as he struggles to pronounce Hawaiian names, Justin keeps the show entertaining. You won’t get confused about events with Justin’s wit and critical information always there to keep the show going. 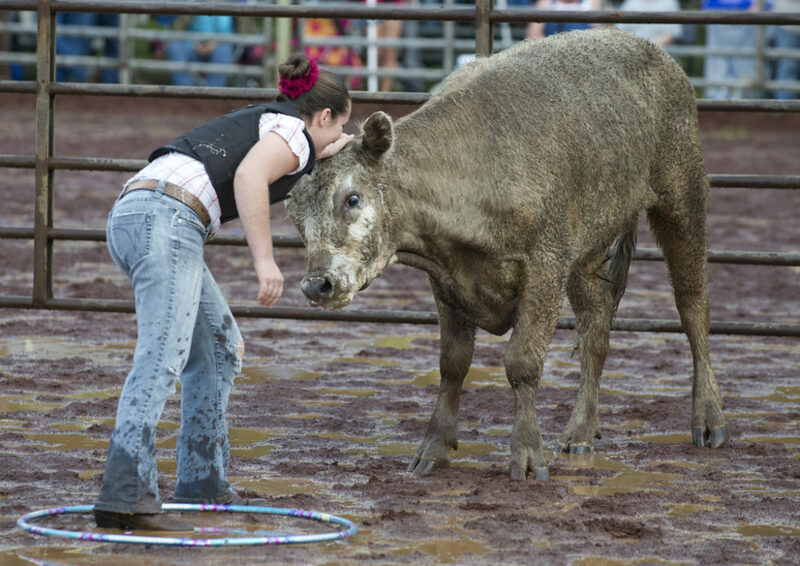 Can a Hula Hoop protect you from an angry bull? Want to get in the act? Are. you over 18 years old and will you appear to be “sane and sober” when you sign the mandatory waiver to participate in our audience events? while sane folks are in the audience, other spectators take a chance to participate in events with names like “Hula Bulls”, “Ranch Mugging”, “Bull Poker” and “Knowckerball Bulls”… will you sign up to challenge one of our hairy beasts? 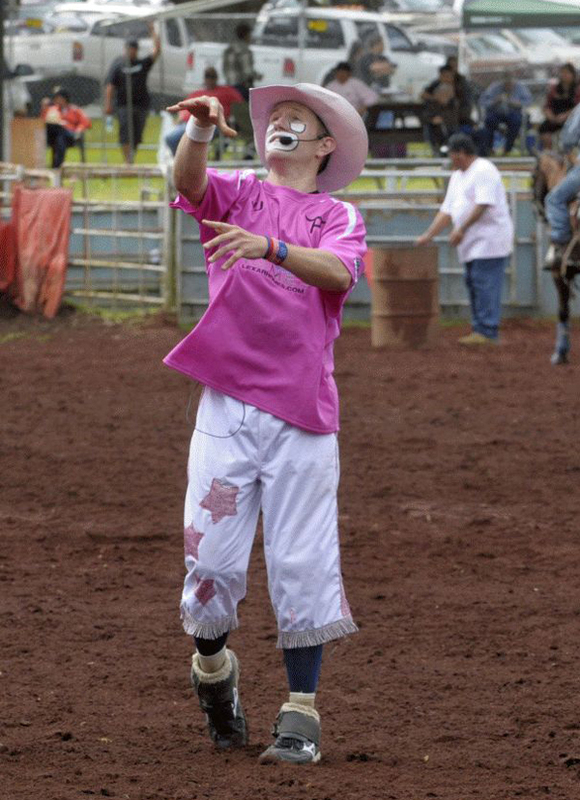 In addtion to Rodeo skills in the Arena, we have world famous Rodeo Clown JJ Harrison, and Rodeo Annoucner Justin McKee coming in from the Northwest to keep things jumping! Plus, great ‘local’ food and craft sales, Rodeo T-Shirt & Hat sales and a Paniolo “Hawaiian Cowboy” Cultural Tent. 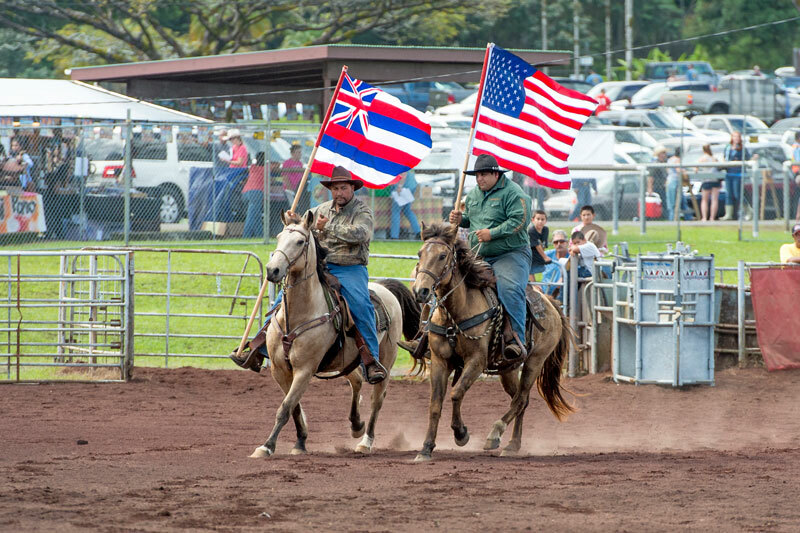 So join in, on President’s Weekend, to see an Hawaiian Style Rodeo, done no were else in the world!